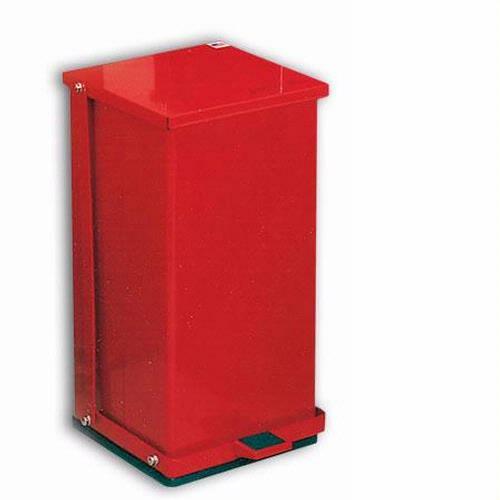 Perfect for hospitals, doctors' offices, patients' rooms, and laboratory settings, Detecto Step-On Can Waste Receptacles have unitized construction and are built for durability. The P Series comes in a variety of five different sizes and capacities listed below. The cans are flame retardant, have a self-closing lid for sanitation, epoxy polyester finish for easy cleaning, and full width hinges for long-term use. An optional handle and wheel kit is easy to install and makes the larger cans easy to move. Detecto also includes free bio-hazard and infectious waste adhesive labels to meet OSHA labelling requirements.